It was in the chapter on Narrative from Tynan Sylvester’s Designing Games. He explains that with this this sort of structure, “any given player misses most of the content”. There’s another problem too – with this sort of structure, it’s incredibly difficult to pace the emotional rhythm of the narrative. 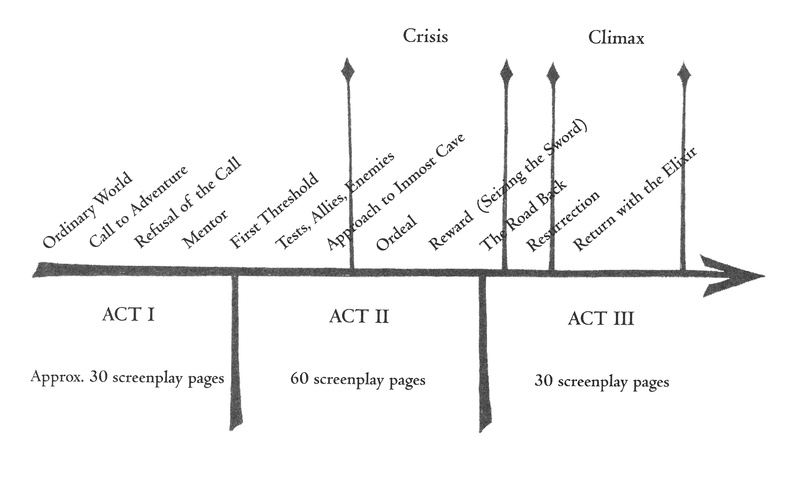 Christopher Vogler, the screenwriter uses Joe Campbell’s Jungian analysis of Mythic structure to demonstrate how the emotional rhythm changes pace in the course of a story. For example, take a multi-player match of capture the flag in any shooter … As the timer runs low, the stakes increase, and with them the tension. At the end of the match, the game approaches a climax of intensity as the players try to capture their last flag and turn the game in their favor. Afterward, the players have a few moments to cool off at the score screen. The pacing curve they experienced follows the classic three-act story formula, but instead of being predefined, its generated a little differently every game. Sylvester doesn’t acknowledge it, but the key phrase in this description is “as the timer runs low.” With multiple players choosing from variety of actions with every event, the narrative path is infinitely branching, but the time limit is a mechanic (in game terms) that forces an emotional climax. Its the same in sport, think of the emotional stress that supporters are under for the final few minutes of a game of football. Basketball is famous for introducing all sorts of timing rules to make the game more emotionally compelling to the audience. Without a mechanic like a time limit the emotional impact of a narrative would be infinitely diluted by the infinite possible endings of a branching structure. 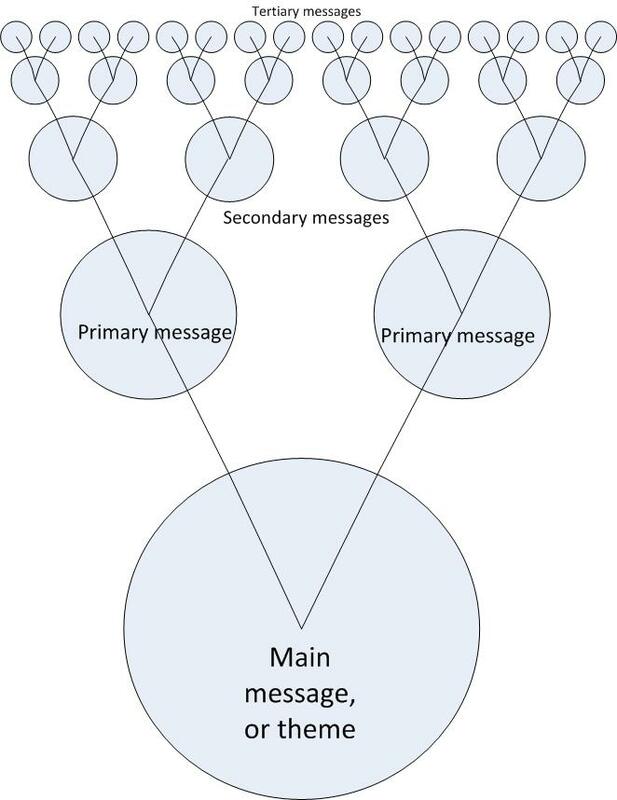 Rand explains that this process is more than an arrangement of the relative value of the messages, it suggests a floorplan, with primary messages becoming sub-divisions of the exhibition and secondary messages indicating the contents of individual exhibits. I must admit that I go through a very similar thought process when I first look at a new interpretive challenge. But looking at Sylvester’s diagram gave me a little epiphany. Lets look at my version again, but this time with labels from Rand’s model. Side quests put a piece of content on the side of the road, which can be consumed or not, but affects little on the main path. 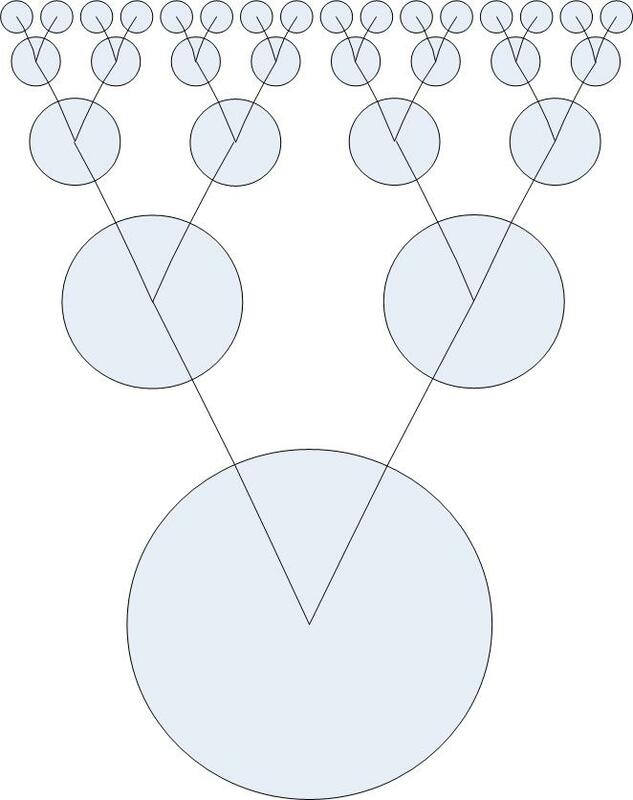 Story convergence offers choices that branch the main storyline, but later converge back to a single line… Often though we need to combine story-ordering devices in a more nuanced was to fit the needs of the game… This hybrid structure is popular because in combines so many advantages. The designers get to script a careful introduction which introduces the story and the game mechanics. During the softly ordered central portion, the player feels free and unconstrained. Finally, the game’s climax can be carefully authored for maximum effect. Sounds great. But how do we apply that to real world spaces? Hey! Nice article, glad you got something out of the book. 1. Fixed, heavily-scripted and controlled intro. This is “on rails”, but it doens’t last long. 2. A large pool of nonlinear spaces to travel through, absorbing details and learning. 3. A final passage out at the end with some revelatory climax. Like the intro, this part is fairly linear. It seems to me that this is totally doable in a realspace environment. You would need a space with separate entrances and exits and a large nonlinear central portion. You would have the introductory portion – something analogous to a hallway – set up a central premise or mystery. Then, visitors could walk through the large nonlinear area, piecing together clues and knowledge scattered about. Finally, as they proceed through the exit, you give them an opportunity to synthesize what they learned into a central lesson. In video games this lesson usually involves defeating some difficult challenge, but I can vaguely imagine a realspace version where visitors put their accumulated knowledge to use to be able to appreciate or interpret one final (and previously hidden) piece of information. I think I’d be excited to design a realspace exhibit. On the other hand, I suspect the logistical and financial burdens would be fairly onerous. It’s a lot easier to conjure spaces out of bits than out of bricks. Thanks for calling in. I was planning to say “Hi” on your blog, but only once I’d finished your (great) book. In a way of course, many cultural heritage sites already do the first two elements, but few (none that I can think of, offhand) do your stage three. I’m suddenly recalling that I was once part of a team proposing a Sherlock Holmes/A.C. Doyle exhibit that would have used that structure, but it proved too expensive for our client.